Listen, we’re not saying that we’re over all things leopard print, but we’re also not not saying it. While the fierce print may be reigning supreme in the court of fashion’s animal kingdom, there’s another contender that’s coming in hot on its heels—snakeskin. Considering how versatile the edgy trend is, we’re particularly loving it in the form of boots. As a piece you can wear with practically everything, a pair of snakeskin boots is something every fashion lover should have in her closet this fall, hands down. The trend has been one among the most luxurious of its peers—right up there with crocodile and ostrich prints and textures—but you actually don’t have to spend a fortune to get in on the look. 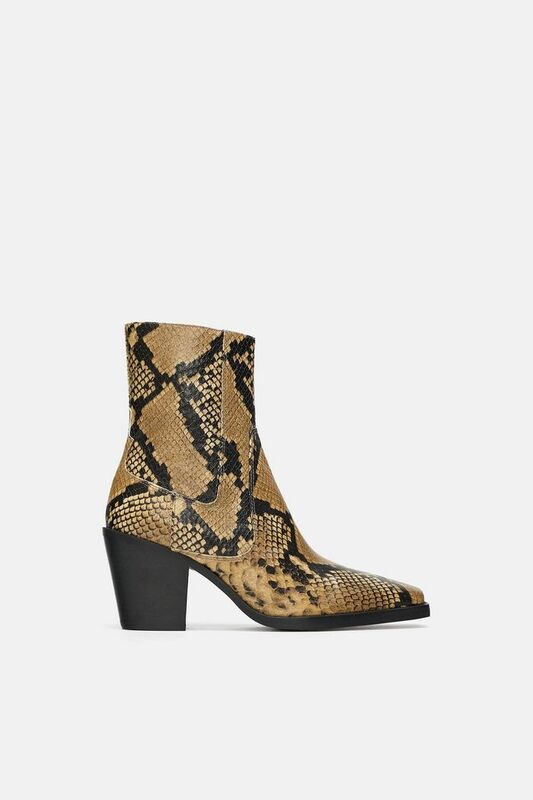 To show you what we mean, we pulled together the chicest snake-print boots under $200. We guarantee you’ll wear them all season long, making their cost per wear a thing to take pride in. Scroll down to shop them all below. Wear these with a cool midi skirt. Wear these for a night out. These will go with anything you wear. We love the deep hue of these. How good is this shape? Yes, wedge heels are still in style. Wear these with a pair of skinny jeans. We'll never get tired of a Chelsea boot. We love these cruelty-free boots. Can't get enough? See our favorite snakeskin pieces you'll want to wear all season.